Seed Apartments located in Sydney's inner-west fringe precinct of Petersham. 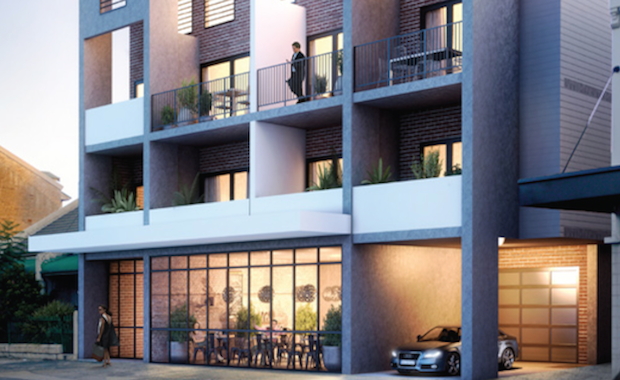 The 14 apartment development located at 328 Stanmore Road, comprises select studio and one bedroom apartments starting at $440,000 for the studio apartments and $555,000 for the one-bedroom apartments. Knight Frank’s Joint Managing Director, NSW Project Marketing, Noel Lucas-Martinez, said that Seed is in synergy with its vibrant surrounds and heralds the evolution of the Sydney city fringe. “Seed will deliver cutting-edge contemporary architecture with an urban style in a low maintenance building within a high rental demand location,” added Mr Lucas-Martinez. Seed is soon to be released to market with completion due in April 2015.